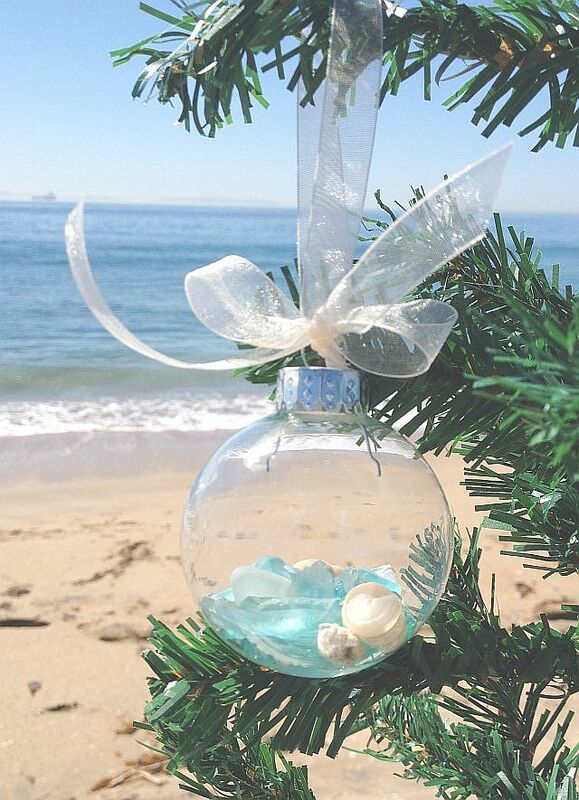 A clear round Ornament that looks like glass, but we use Plastic to prevent breakage. Inside has aqua Seaglass and Seashells. 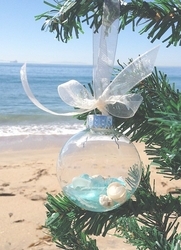 See our other similar ornament with Sand and Seashells.